The right window coverings, if installed correctly, can reduce your heating and cooling costs. That means certain window coverings can be installed during the summer and others installed during the winter, reducing the amount of heating and cooling required to make your home livable. The reason for this is that brightly colored window coverings reflect light and heat, while dark colored window coverings absorb light and heat. That means it’s possible to absorb more light and heat into your home during the cold winter months, and reflect light and heat away from your home during the hot summer months. The vast majority of people spend far more money than they have to on heating and cooling costs. For the most part, this comes down to poor insulation. You’re naturally going to be cranking your HVAC systems up higher than they need to be if your house is colder than it has to be in the winter and warmer than it has to be in the summer. All of that extra energy is going to show up on your utility bill. During the summer, install bright colored window coverings as tightly and snugly against your windows as possible. Then, keep them closed throughout the entire day if you can, especially in areas where the sun is shining directly into your home. This will reflect as much light and heat from your house as possible, and let your cooling systems work only as much as they need to. At night, open them all up and allow heat to escape through them. It also helps to keep your windows open as well. Those who live in northern areas that see long, cold winters will benefit from installing dark colored window coverings snugly against their windows. Keep them open in areas where the sun is directly shining, but closed in areas where it isn’t. This will help absorb as much heat into your house as possible, so that your heating systems only work as much as they have to. Later at night, make sure to keep them closed tight to trap the absorbed heat into your home. 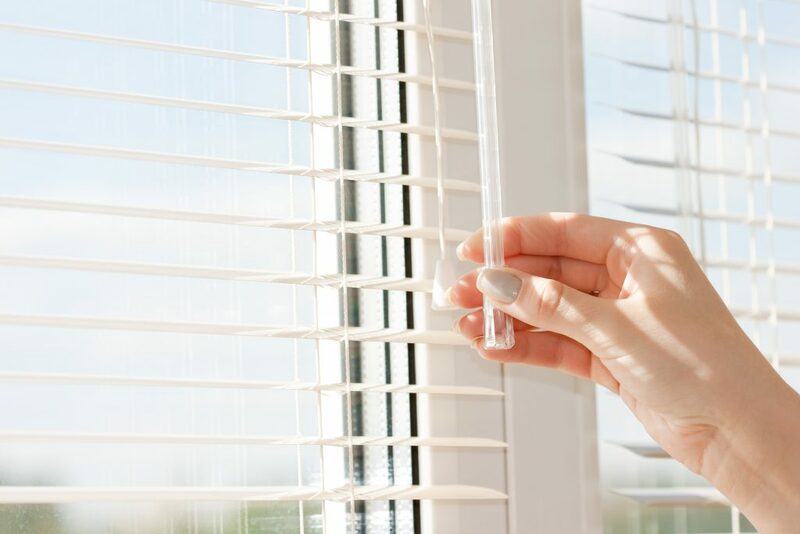 If you live in an area that’s relatively balanced temperature-wise, you can be proactive and install bright window coverings in the summer and dark window coverings in the winter, maximizing your home’s energy-saving potential year round. It’s possible to purchase window coverings that have been designed specifically for the purposes of energy-saving. These window coverings are dark on one side and bright on the other. In warm times of the year – The bright side should be facing outside, reflecting heat away from the house. The dark side faces inward, in order to “absorb heat away from the house”, so to speak. In cold times of the year – The dark side faces outward during the day to draw in as much heat into the house as possible. The bright side faces inward, “reflecting heat back into the house”.